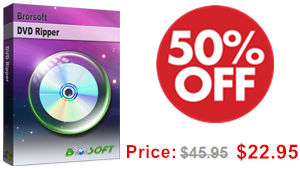 The Ultimate all-in-one Video Converter, DVD Ripper, Blu-ray Ripper! Remain DVD's orginal file structure by using "Copy the entire disc"
Copyright © 2016 Brorsoft Studio. All rights reserved.